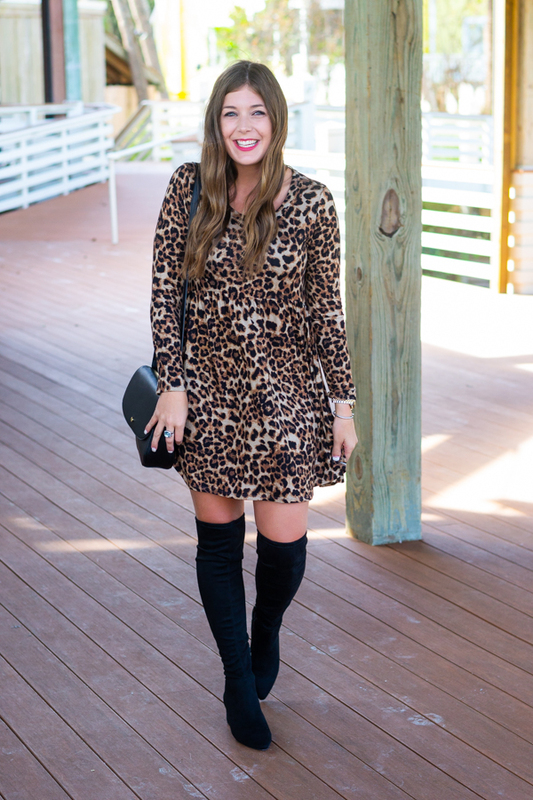 A trend I've been loving for years, and I hope never goes out of style is leopard print. Huge fan over here! 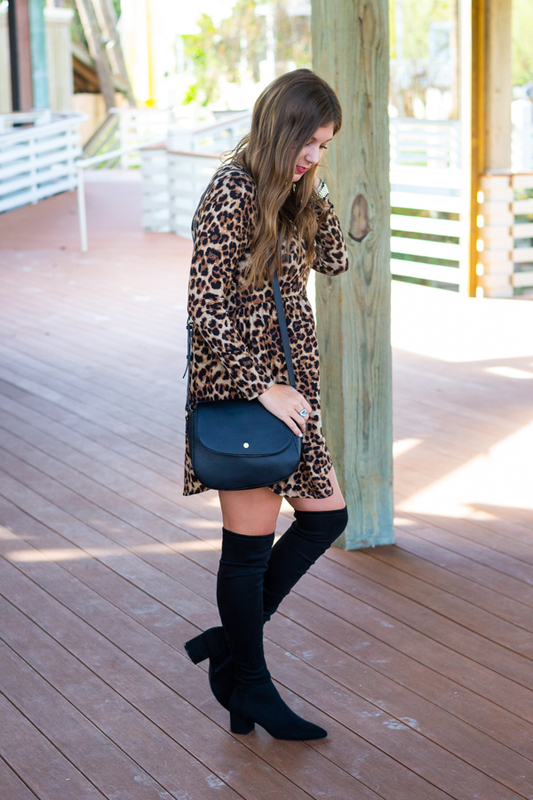 Leopard print adds the perfect pop of sass to any outfit, and I pretty much consider it a neutral during the fall and winter months. 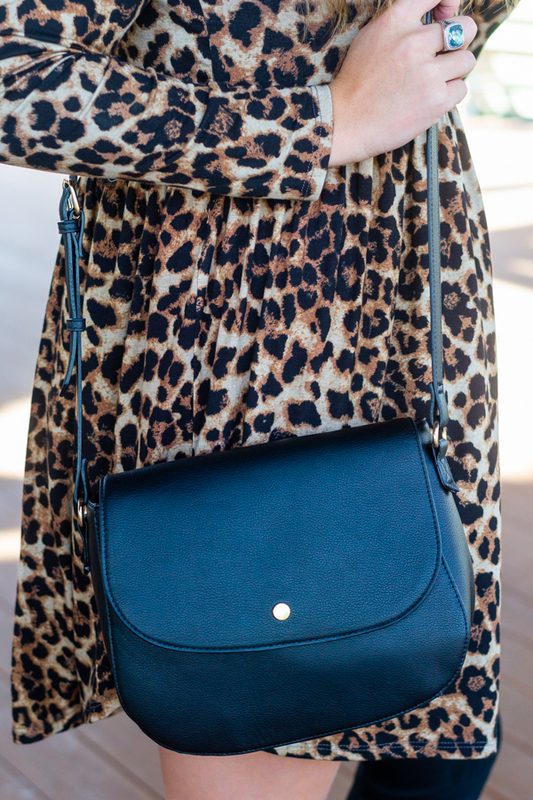 If you aren't a fan of a full leopard dress, try adding just a pop of leopard to your outfit with a scarf, purse, or even some shoes! 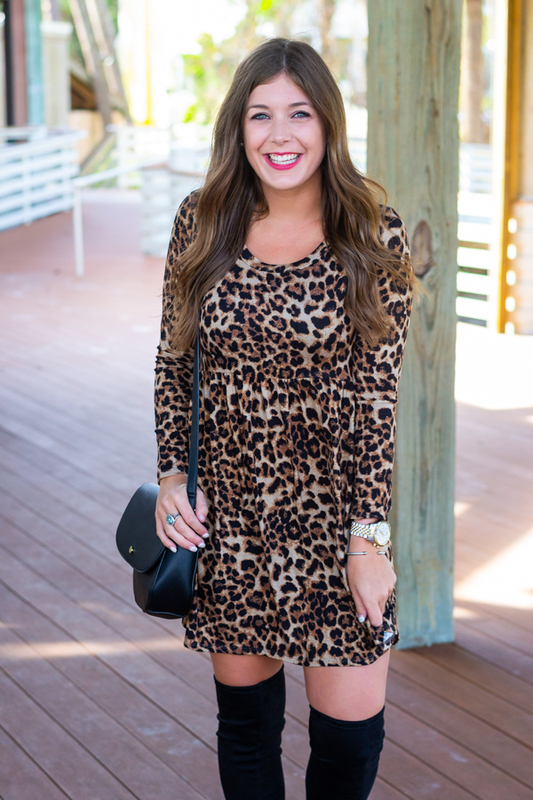 You can get my exact leopard dress from Cotton Avenue Boutique for 10% off using code KELSEY10! 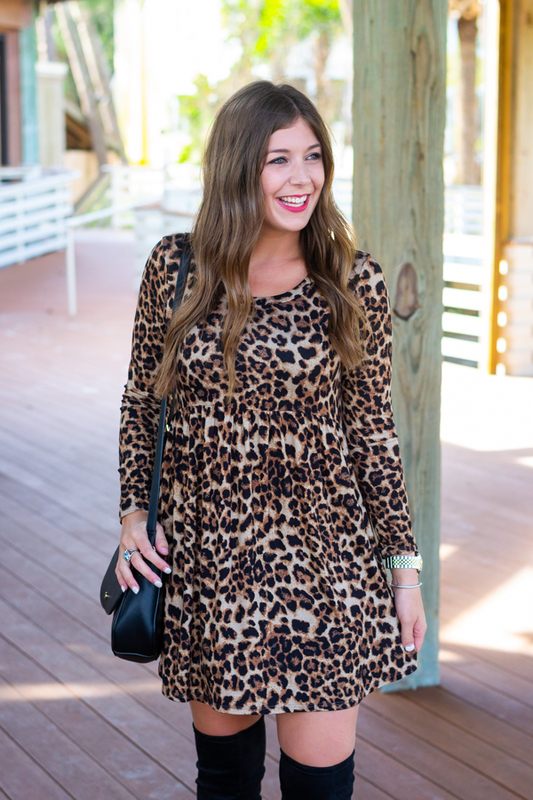 You look amazing in leopard! And those boots? Yes, please! I totally love the leopard print too! It's such a chic print! I so agree! 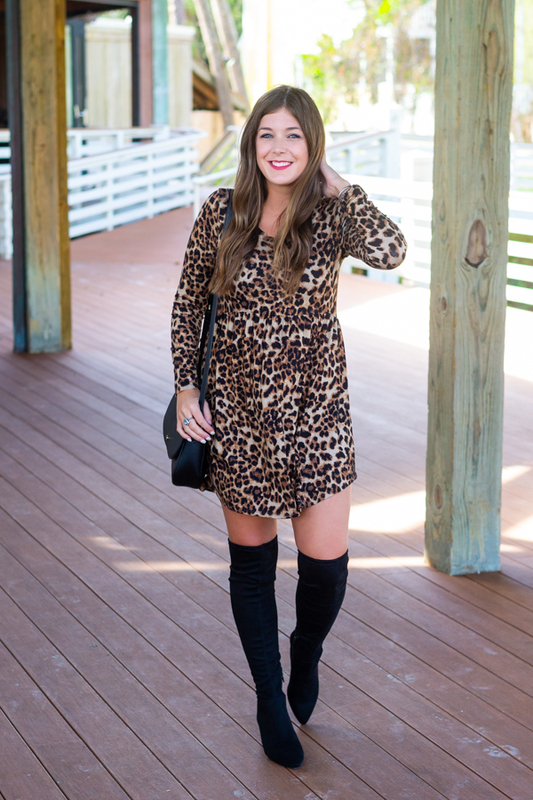 Love leopard print; especially in the fall! 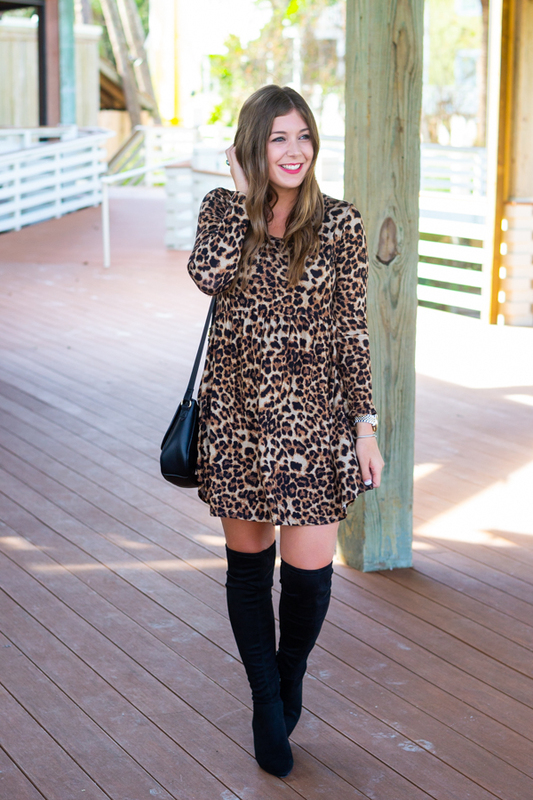 The leopard print looks great on you! I have a scarf with leopard print and I agree with you that it adds pop to any outfit I wear it with. I cannot imagine leopard EVER going out of style. I really like your boots too! So cheetahlicious!!! Love this look! Cute outfit! :] I love your boots! You look great in that print. Such a cute outfit too. 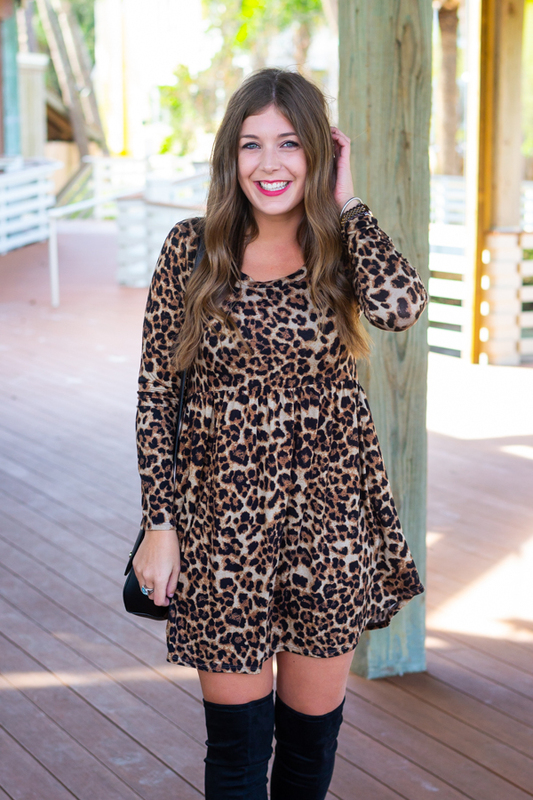 I've been loving seeing leopard print in my feed! It's such a fun pattern but it looks so good with other colors and patterns. Love this dress on you! Always love a good leopard print... and I don't think it will ever go out of style, just the shape will change with the outfits! This leopard print is so pretty! I think Leopard print will always stay in style I think, it's a great neutral print. Such a cute dress and I am sure it will forever be in style! Such a darling dress! Loving the leopard!! Leopard print is always fun and funky! Love the dress! Me too!! I also hope babydoll fit dresses like this stay in style because they are so cute and flattering! I'm with you girl!! 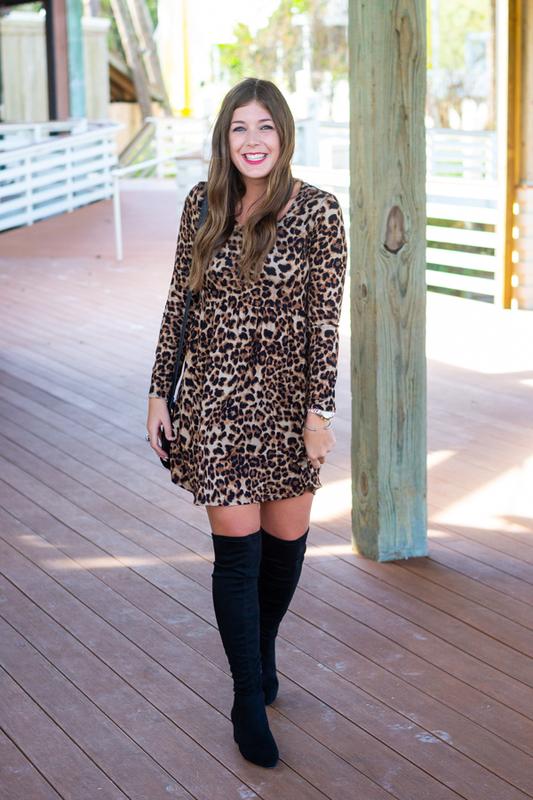 I love wearing leopard print and it always makes me feel fierce and trendy!